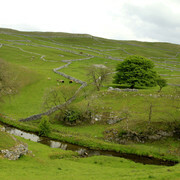 The Yorkshire Dales is an area of great natural beauty in northern England, a large part of which has been designated as a national park. 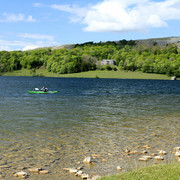 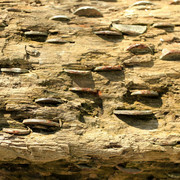 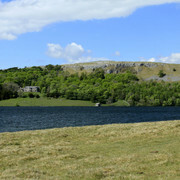 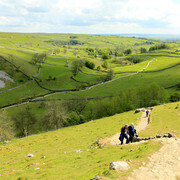 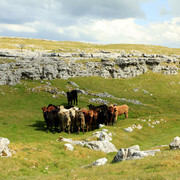 Much of the landscape here is limestone country - lush green valleys (known locally as "dales") crested with white limestone cliffs ("scars") and limestone pavements cutting through wilder uplands beneath towering peaks ("fells") of dark millstone grit. 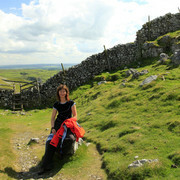 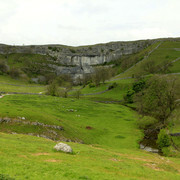 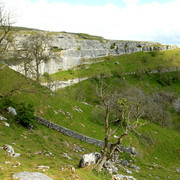 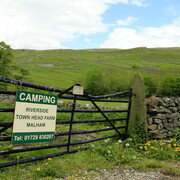 Throughout the dales, fields and pastures are bounded by distinctive white drystone walls which criss-cross the hillsides in elaborate patterns; set against the limestone cliffs and escarpments these walls (which were originally built by sheep farmers in days gone by) look almost a natural part of the limestone scenery as viewed today. 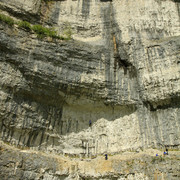 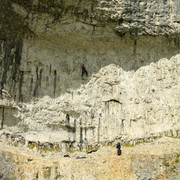 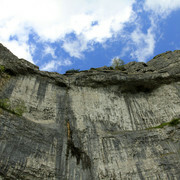 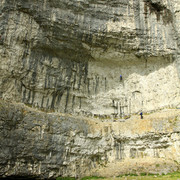 The geology here gives rise to some spectacular and unusual natural features, such as the towering white cliffs and limestone gorges of Malham Cove, Gordale Scar near Malham, naturally sculptured millstone grit outcrops as well as dramatic waterfalls sometimes hidden in deep wooded ravines.